MILAN, Italy – 2009 was a fantastic year for the Italian bicycle industry, because the government gave a big helping hand in the form of incentives. Those incentives were an incredible success. Domestic bicycle consumption jumped by 7.1% to 1.93 million units in 2009. But 2010 was a different story, with local consumption dropping by 8.1% to 1.77 million bicycles. Fortunately bicycle production decreased to only a very acceptable 2.49 million units (a decrease of 3.7%) from 2.59 million units in 2009. The Italian bicycle export rose to very healthy 1.35 million units (an increase of 5.4%) in 2010, reflecting the recovery from economic crisis in some of the most important North European countries. According to the statistics of ANCMA (the National Association for the Bicycle and Motorcycle Industry) Italians imported 636,000 bicycles, a small increase of 1.4% over the total for 2009. But the increase in the median value of imported bicycles rose substantially to € 163.26 (from € 126.08) confirming the impact of price increases for material and components, as well as the trend to higher value bicycles in Italy. The bicycle market was unusually healthy in Italy due to great government direct incentives when purchasing bicycles in 2009. Through the Minister for the Environment incentives an additional 103,500 bicycles were sold at that time. No wonder that domestic consumption dropped with 8.1% to 1.77 million bicycles in 2010. 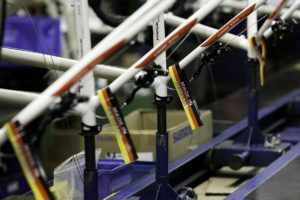 “The bike industry did not have such a bad business in Italy in 2010 as it sounds,” said Pietro Nigrelli, the man responsible for the bicycle department at ANCMA. The Italian bicycle market has changed quite a lot lately. The new approach to cycling started with the 2009 governmental incentives which contributed to consumers discovering cycling as enjoyable. On the Italian streets we can see a higher quality of normal bicycles and some e-bikes. Less single speed bikes are used these days. One clear indication of bicycle quality increasing is the rise in average price of imported bicycles; 29.5% higher at € 163.26 in 2010 (from € 126.08 in 2009). Nevertheless, 2010 was in some ways a difficult year for the bicycle industry. According to the ANCMA statistics bicycle production in Italy dropped 3.4% from 2.585 million to 2.489 million bikes. A total of 1,354,320 bicycles were exported, compared to the 2009 total of 1,284,798 units; an increase of 5.4% which can be contributed to the economic recovery in some of the north European economies. The average value of the exported Italian bicycles went up slightly to € 93.30 (2009: € 92.58). Also positive in its own way is the fact that the Italian bicycle imports increased by 1.4% to 636,112 units (2009: 627,398). A very good sign of the increasing awareness of Italian bicycle users for higher bicycle quality is the increasing average value of the imported bicycles into Italy; which went up by 29.5% to € 163.26 (2009: € 126.08). It seems the days of cheap Asian-made bicycles are gone. 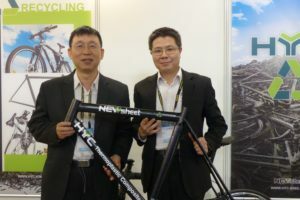 Based on ANCMA data, deliveries of complete bikes to the various distribution channels totaled 1,770,792 units in 2010, a disappointing 8.1% drop on the 2009 figure of 1,927,600 bicycles. What contributed to the drop in deliveries is that end-users were waiting for new incentives at the spring of 2010. That didn’t happen and therefore some important revenue was lost and never recovered again. When taking deliveries per segment into account, the Italian bicycle market changed a bit in 2010. Mountain bikes, which continue to be used for leisure, had a market share of about 33% (from 35% in 2009). The high-end MTB continues to increase, while the low-cost continues to get less important. The City and Sport bike categories went up a bit to 36% from 35% in 2009. It is a sign that the Italian market is changing towards the usage of bicycles in cities. At the same time the share of children and youngster bikes remained stable at 25%. Road racing bikes, the fame of the Italian industry, had a healthy market share of 6%, an increase from 5% in 2009. The e-bike started to become important in Italy in 2009. 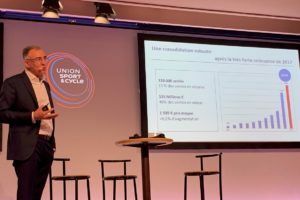 Although there are no dedicated statistics about e-bike sales yet Pietro Nigrelli of ANCMA estimates that some 40,000 e-bikes were sold in 2010, a similar amount to the total from 2009. Actually 2010 e-bike sales represent a relative increase, since the 2009 sales figures were helped by government incentives. Consumers are getting accustomed to using power-assisted bicycles. The usage of e-bikes is growing in Italy, although they aren’t as common as in North Europe. It is no longer unusual to see e-bikes on the Italian streets these days. 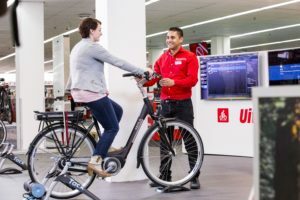 Even if consumer prices have not reach the level of similar products in Holland or Germany, customers appear willing to pay around € 1,200 for a high-quality e-bike. Italy with various saddle makers, such as Selle Italia, Selle San Marcos etc. and components makers Campagnolo and Miche, is one of the few European countries still maintaining an extensive bicycle component industry. In 2010 the export of parts and components recovered a bit after low figures in 2009. The Italian ISTAT Statistics Bureau shows the export value of Italian-made components increased by 9.4% from € 348.47 million to € 381.21 million (without export of chains) in the year 2010. It also meant a gain of 17.4% in the quantities exported. The manufacturing of large amounts of different components continues to focus on the very healthy and high-value product categories of saddles, wheels and the famous Italian road-racing frames. Other components are more or less succumbing to Far-East competition. The Italian saddle makers recorded an overall 5.8% export increase in 2010 in value to € 75.89 million from € 71.74 million, which meant also a 1% increase in quantity. Exports of high value products such as wheels are increasing as well. Although, it is difficult to evaluate the exact amount of growth in these items, since they are combined in the statistics under the group ‘others’. In any case the export increase of the general group ‘others’ was 16.6% in value and 17.4% in volume in 2010, giving a good indication of this healthy business. At the same time there was a sizable export decline in chain wheel sets (minus 28.8%) to € 16.3 million. Gears for group sets also saw a drop (minus 11.8%) to € 14.6 million in 2010. Italian frames exports recovered after a very difficult 2009, climbing 25.3% to € 28,3 million from € 22,6 million. The year 2011 is expected to end as a less positive one for the bicycle industry in Italy. The economic situation continues to be very low which forces the government to implement cost-cutting measures. So, more incentives for buying bikes cannot be expected. 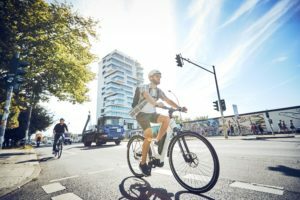 On the positive side the impetus to bicycle use which was encouraged in the last two years may have changed the attitude of many consumers in Italy. It is easy to see more cyclists on the Italian roads these days and this trend may continue.